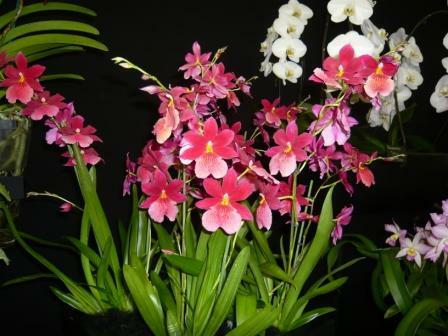 There are over a thousand known species of Dendrobium and innumerable hybrids. 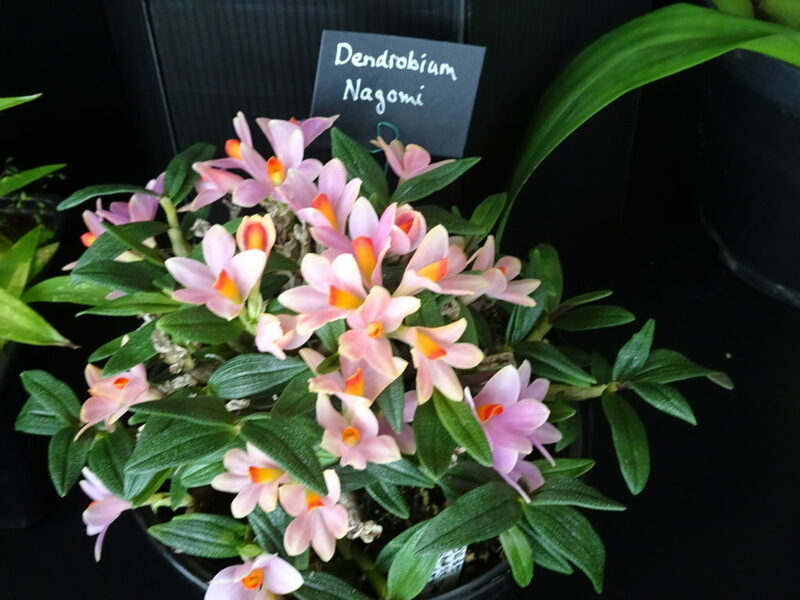 This makes Dendrobium the second largest orchid genus in the world after Bulbophyllum. 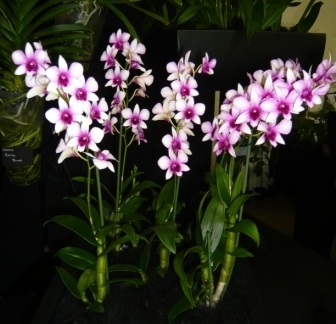 Dendrobiums like their roots confined in small pots. for good drainage use bark, perlag and charcoal to make up an open mix which drains easily. Repot when either the compost becomes acid and soggy or when the pot is full of roots. Plants from the mountains of New Guinea like a little moss mixed with the bark or they can be grown on slabs of bark or tree fern on a mossy bed. Such slabs need daily misting for most of the year. 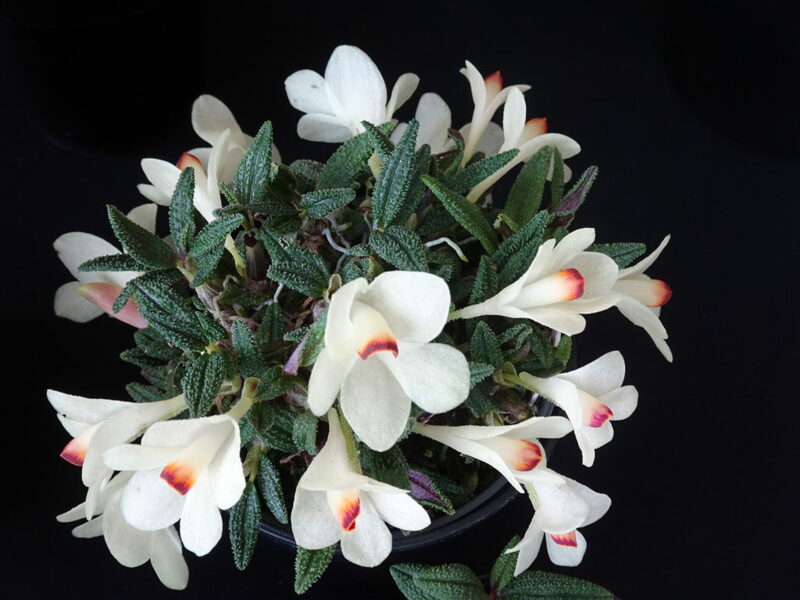 Over enthusiastic flowering of small dendrobiums can lead to a premature death. 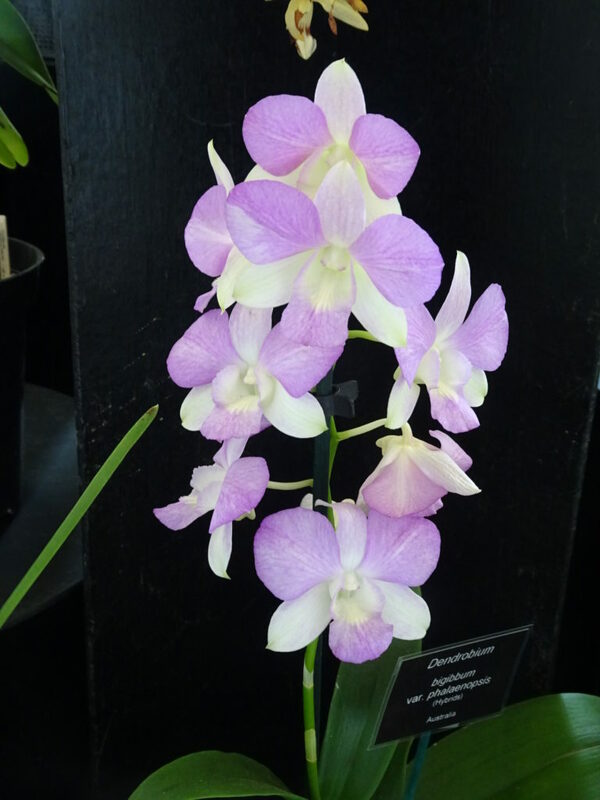 Small dendrobiums sometimes benefit from a steady gentle air flow. In winter temperatures can drop to 40°C when you should not water or feed but give plenty of light and air movement. Buds develop in spring and new growths appear. Water sparingly until the new shoots have grown good roots then feed weekly during maximum growth. Free draining potting mixes should always be used containing coarse bark perlite, sphagnum moss and even small pebbles if a little weight is needed. Propagation is by division of the larger clump when it has filled the pot. 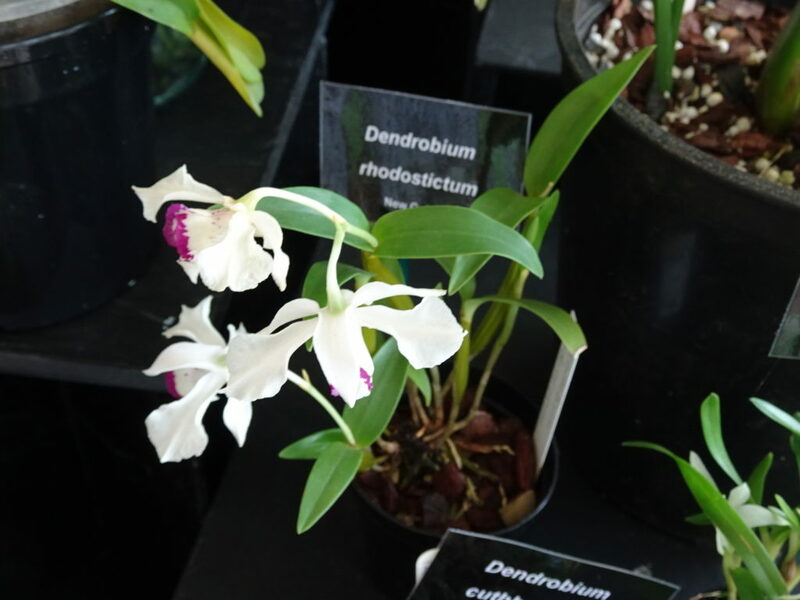 Some Dendrobiums produce offsets. Generally they do not like any root disturbance. 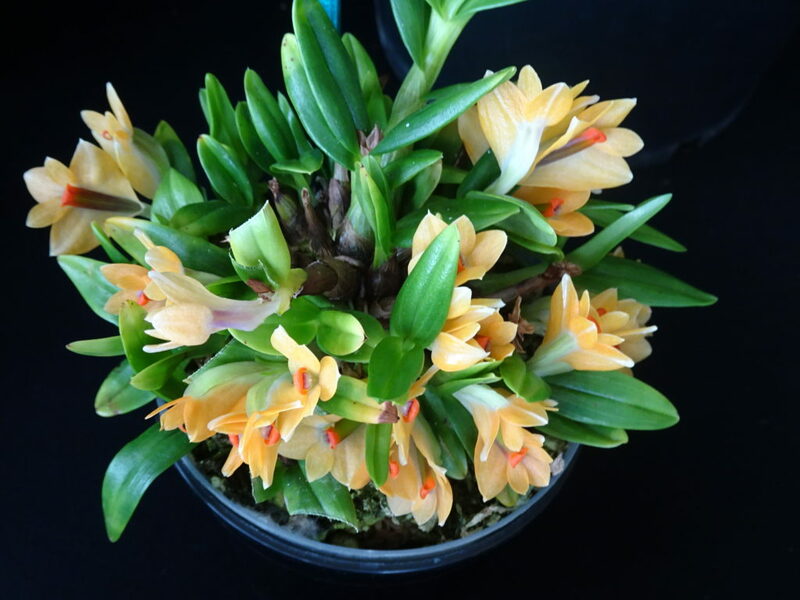 Australian species and hybrids include the ‘Rock Lily’ flowers last only 3-4 weeks but Dendrobium bigibbum is often grow for cut flowers. 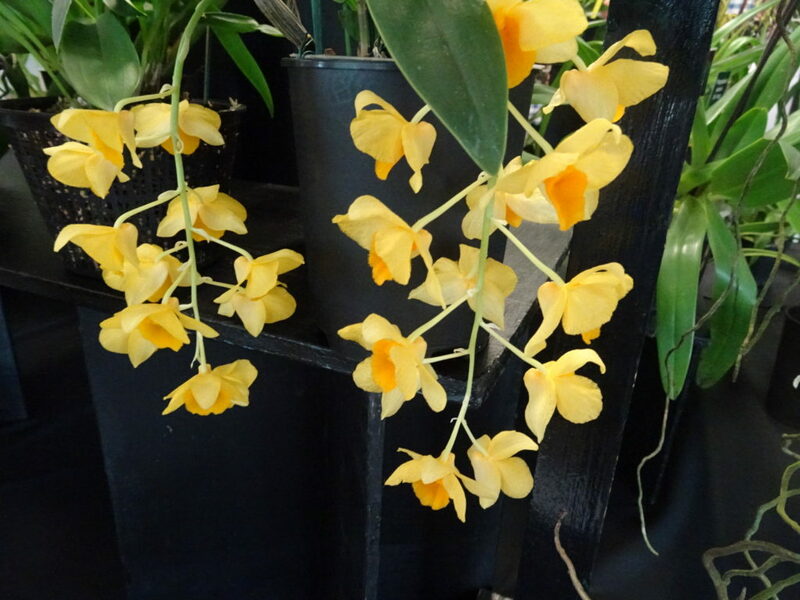 Dendrobium like plenty of bright filtered sunlight but avoid direct sunlight that may scorch the leaves. They can be difficult to re-flower if they do not receive sufficient light. Never allow plants to stand in water as it may rot the roots. Moss loving species can be grouped as either Himalayan, Australian or New Guinea (including Singapore). 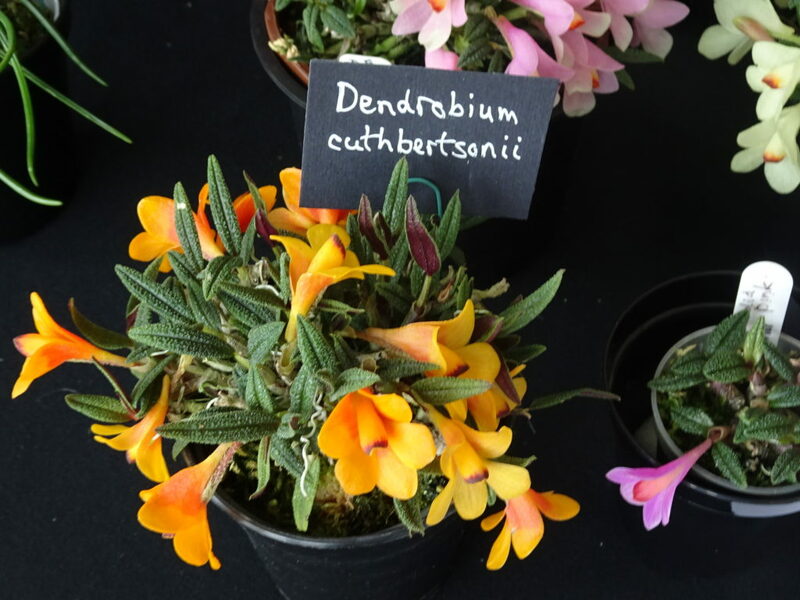 They can be grown on chunks of bark or tree fern on a mossy bed. The Dendrobium aggregatum is an epiphyte, that means a plant that grows on another plant but isn’t parasitic. They grow best when mounted due to its epiphytic nature. Usually, a medium such as cork or fern bark is used to allow plants to completely dry out between waterings and help air circulation. 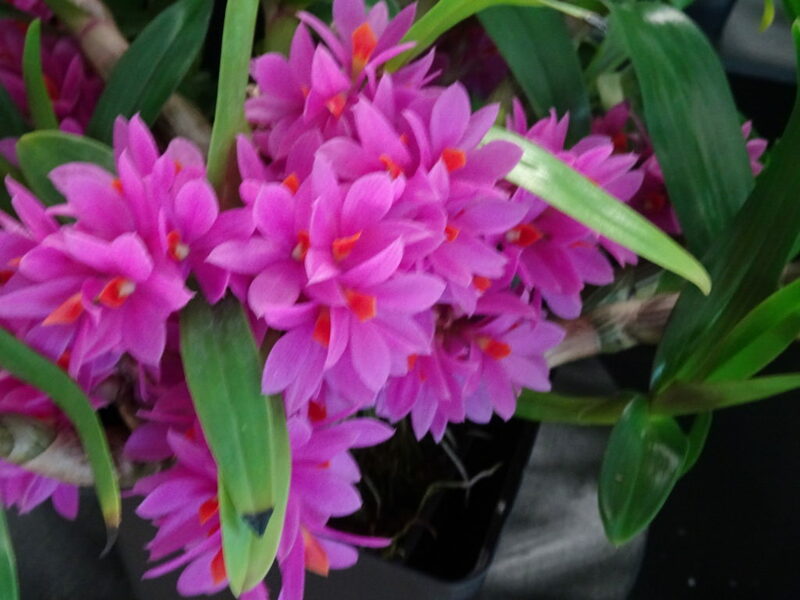 Nobile or Asiatic Dendrobiums like this example of Polar Fire are some of the easiest to grow but can be a little difficult to bloom regularly. If you do not dry and cool the plants during winter, you won’t get flowers. The flowers are showy with colours ranging from white through pink to purple, and the lip is often beautifully marked in contrasting colours. They make magnificent specimen plants.